As a quick introduction, I've been reading the forums for a few weeks and now need some assistance! I never intended to become a retrobiker but time has moved on and my bikes have stayed the same over the years and now I think they can be called retro! 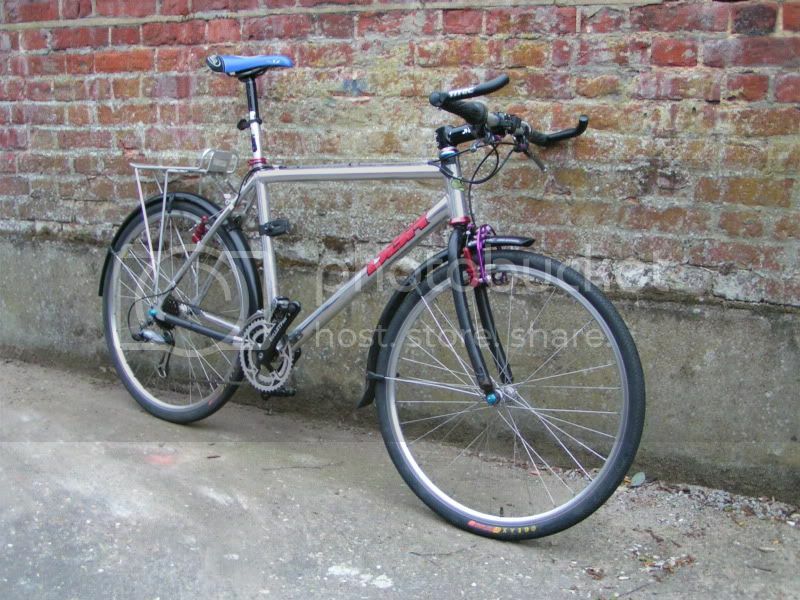 This is my DBR, which I picked up as a frame only around 2004 when I left uni, it had laid abandoned in the bike shed for the whole year I was parking my (retro) Univega there. I cleaned it and removed a layer of MBUK stickers to reveal a slightly corroded DBR stickered frame. It now gets used as my city bike run around. 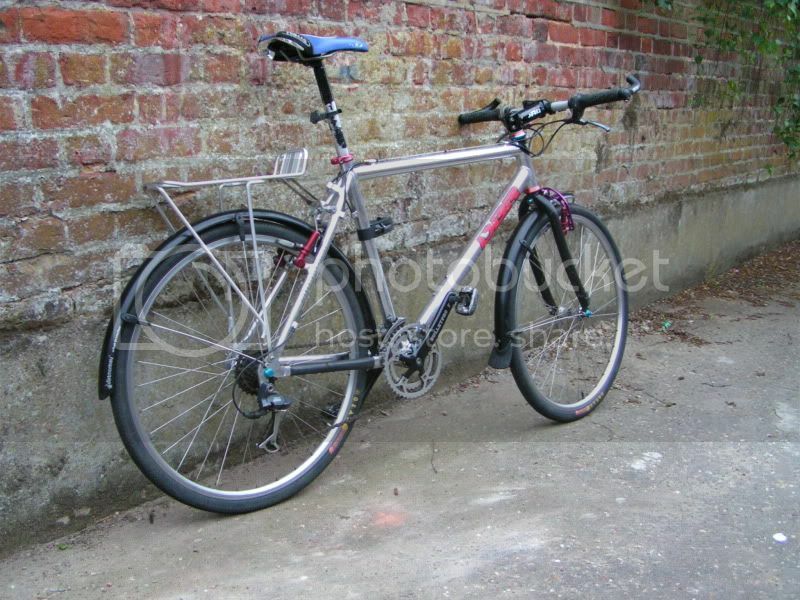 The rear rack is an addition for the day as I've been carrying panniers on the Norwich 50/100 cycle ride. 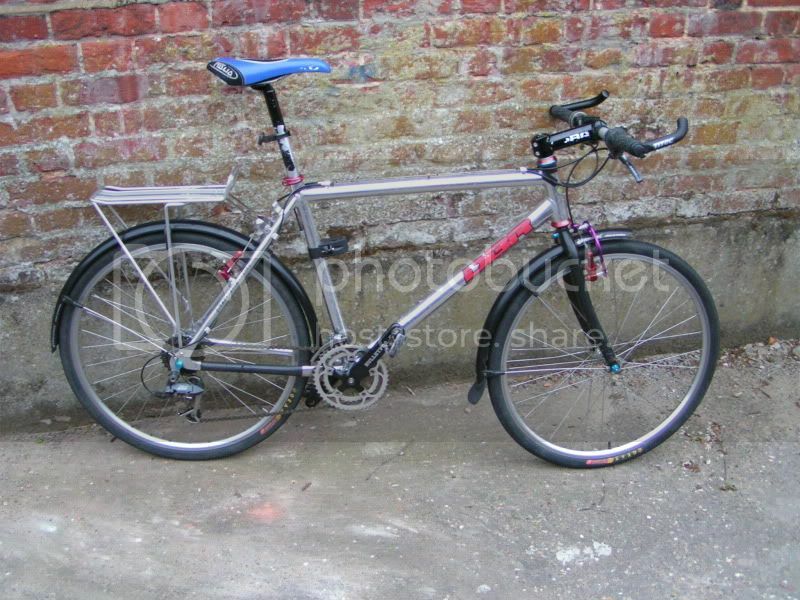 I'd guess the frame is about 1995 due to the canti hanger, but I've never seen another like it. The down tube has DBR stickers both sides, there is a Diamondback head tube sticker, Diamondback stickers on the seat stays and '7005 Butted' sticker on the seat tube. No other identifying marks, and the componentry has all been fitted by myself, forks are Spinner and recovered from another Diamondback so offer no clue as to the bike's model. Frame number is stickered and reads CYC0020439. Can anyone offer a clue? Even positive age identification would be handy and I know there are some Diamondback experts here. Cheers and hope you like the photos! Where abouts in Norwich are you from? If you don't mind me asking? 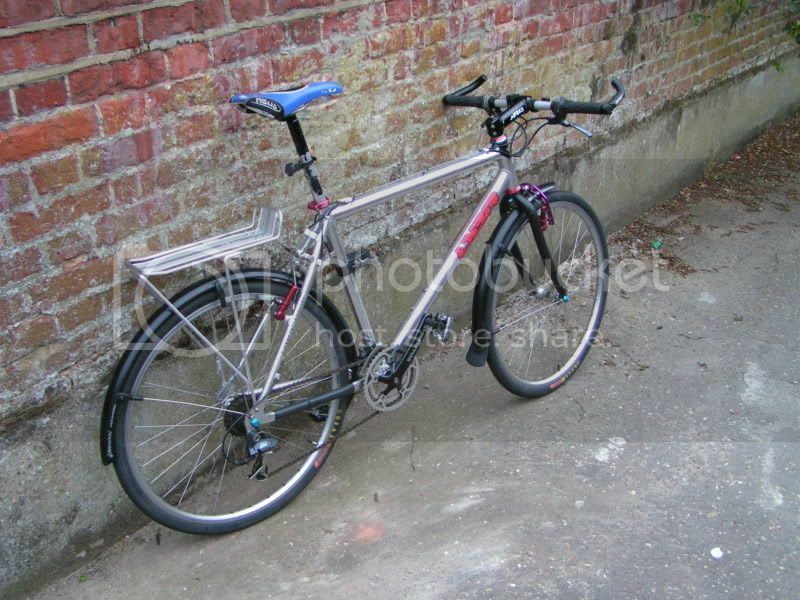 Its very nice apart from the mudguards, rack and slicks. 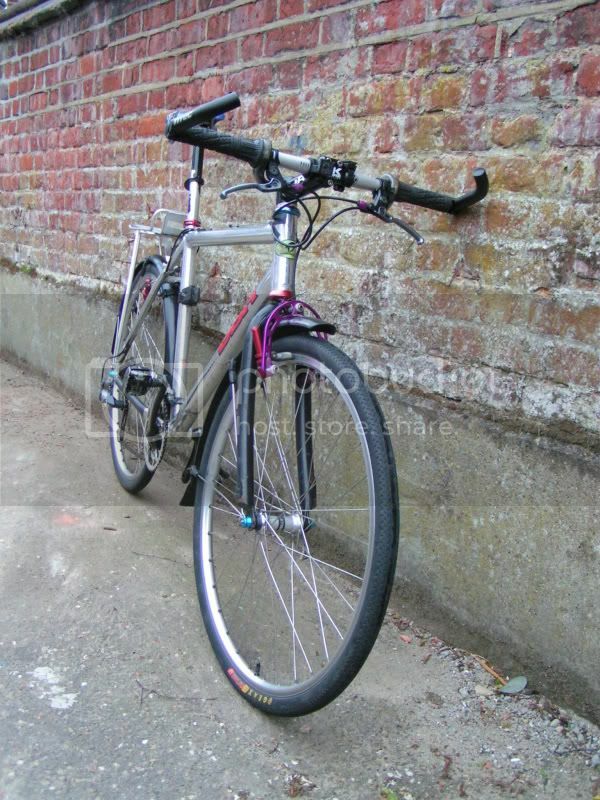 Any details on the seatpost clamp? I like and want! it looks a generic Taiwanese frame ,sold as various things ,coyote, falcon. Peck, I'm north city, close to Anglia Square. 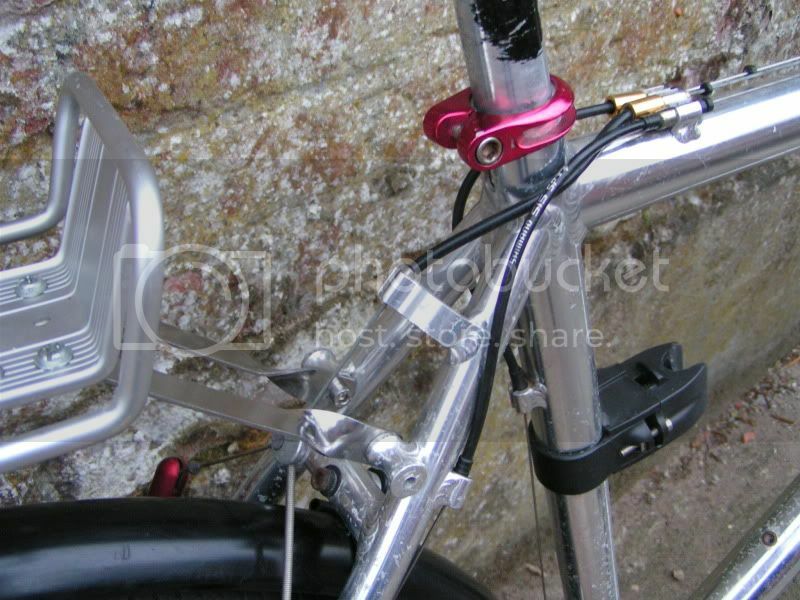 Mike, the seatpost clamp is a generic one, I had another in silver branded as Avenier. It came from a Proflex frame, I'd imagine it is a cheap far eastern manufactured clamp. Am not too fussed if it is not a Diamondback / DBR but I'd like to find out what it was originally sold as and resticker it with the correct ones. I noticed today that the frame number is also stickered on the head tube, but not engraved into the bottom bracket shell - does this give any of the experts a clue? Mikee what do you reckon as to age? 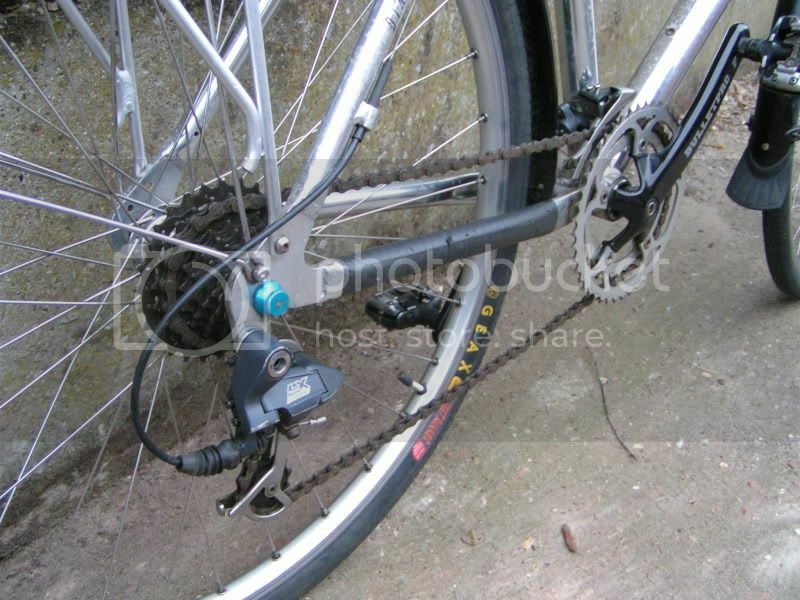 I thought the rear canti hanger placed it firmly around 95-96 as after this v-brakes started to become a lot more popular. frame number not give any clues ? is there a number on the dropout ? Hi . Its a diamondback response . 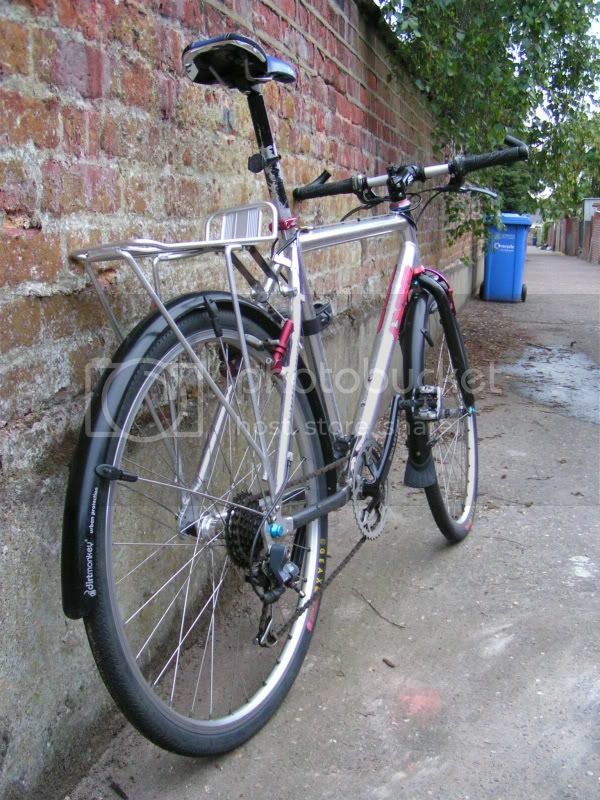 I have one exactly the same although mine has diamondback stickers not DBR. Its actually a pretty light frame and rides really well. I'd agree that it looks like a response, but in 95, at least, the response had a replaceable rear mech hanger and the top tube cables were routed on the side of the top tube. I think this is it. My LBS used to get them from somewhere, just had the 7005 sticker, no other ID. Before they sold polished ones, they had black with purple or blue flicks, my mate bought one. Ah , just had a look at mine and indeed your right! .... cant get away with anything on this forum.